This has been a hard entry to post. 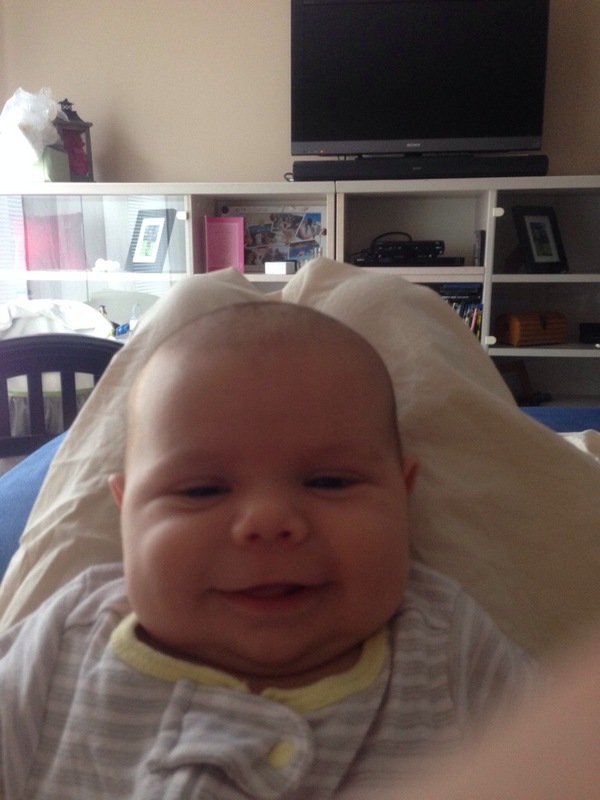 I’ve just been too busy with my babe and frankly it’s not that exciting of a post. It doesn’t even have a title. Breakfast: This oatmeal or, as I like to call it, porridge. I used half water, half almond milk to make it creamier. It’s a nice, warm dish that would be good for a gloomy, rainy Sunday or in the winter but the overnight oats are just so much easier. Our strata members so nicely pointed out to us that our dishwasher was leaking, causing us to shell out a bunch of money to buy a new one (yay for appliance shopping!). Since we were spending money anyways we decided to eat out for lunch. I ordered the turkey club wrap (no mayo, no cheese), quinoa salad and fresh veggies and ranch dip. By the time we got home, it was time for a snack. I made two slices of multi-grain toast with homemade chia jam. I found the recipe here. I mashed up some fresh raspberries along with the strawberries (both from a local farmer’s market). The fruit gives it enough sweetness without adding any sugar. The chia gives it the jelly consistency. Dinner is nothing to write home about: barbecued chicken and brown rice with spinach and leftover, roasted eggplant. I sautéed garlic and shallot in olive oil before throwing in the eggplant and then wilted the spinach. The eggplant sweetened up the bitter spinach quite nicely! I’ve noticed my weight starting to creep back up and I’m ok with that. As a breastfeeding mother I can’t afford to cut back on calories. I make sure I get in my four servings of whole grains and 8-10 servings of fruits and veggies, eat lean proteins, and drink plenty of water. I am cutting out most dairy other than Greek yogurt and the milk in my creamer since it does bad things to my tummy (a good thing about pregnancy was that I could eat a lot of cheese and drink cows milk. Now: not so much). And most importantly NO MORE CRAP. No refined sugars. No white bread, flour, rice, or pasta. No weird, chemicals or ingredients I can’t pronounce. No junk for my trunk. Breakfast: overnight oats with blueberries and fresh raspberries. 1/2 cup of fresh oatmeal bought from the farmer’s market yesterday, 1/2 cup no fat Greek yogurt, 1/2 cup almond milk, 1 tablespoon chia seeds, 1 teaspoon maple syrup, 1/4 cup frozen blueberries. Shake in a jar and put in fridge overnight. Topped off with fresh raspberries in the morning. My husband and I always put artificial, dairy free creamer in our coffees and when I started this clean eating experiment I took a look at the ingredients in said creamer. So many chemicals! I decided that if we were going to start eating clean it was time to start purging our fridge and cupboards of all the crap and so I sought out recipes on beloved Pintrest for replacements. First up the coffee creamer/sweetener. This recipe is so simple. I noticed in the grocery store there were two kinds of sweetened condensed milk: regular and low fat. A quick look at the nutritional information yielded interesting results: there isn’t that much difference between the two. Only 1/2 g of fat per serving! You know what the replace that fat with? Sugar! One more gram of sugar in the low fat variety. I got the full fat. My husband approves. For lunch I made a veggie sandwich with hummus on multi grain bread. I sliced up a half an avocado, one slice of a beef steak tomato, a little leftover romain and an ounce of goat feta. Two peeled and cut carrots with two tablespoons of hummus rounded out my afternoon snack. For dinner I decided I was going to make pizza. I found a bunch of recipes for whole wheat crust online but they all called for all purpose flour in addition to whole wheat flour. Their reasoning behind the mixture is that the whole wheat flour doesn’t contain as much gluten as the AP and would make a cardboard tasting crust. I found one recipe that was 100% whole wheat and you know what? It was great! It made 2 portions of dough so I froze one for next week. To my pizza I added my own tomato sauce (crushed tomatoes, garlic, shallot, Italian spices), roasted eggplant, zucchini and tomatoes, feta and parmesan. I baked the crust first to get it nice and crispy before I added the toppings. For desert I bought an organic dark chocolate bar that is 80% cocoa. It tasted like bakers’ chocolate and was very bitter. I decided to wash it down with a glass of red wine. The two paired quite nicely! 1. Multi-grain bread. I am not afraid of gluten nor am I allergic and I believe you should get a serving of grains with every meal. Whole grains are loaded with B vitamins, fiber, and iron. 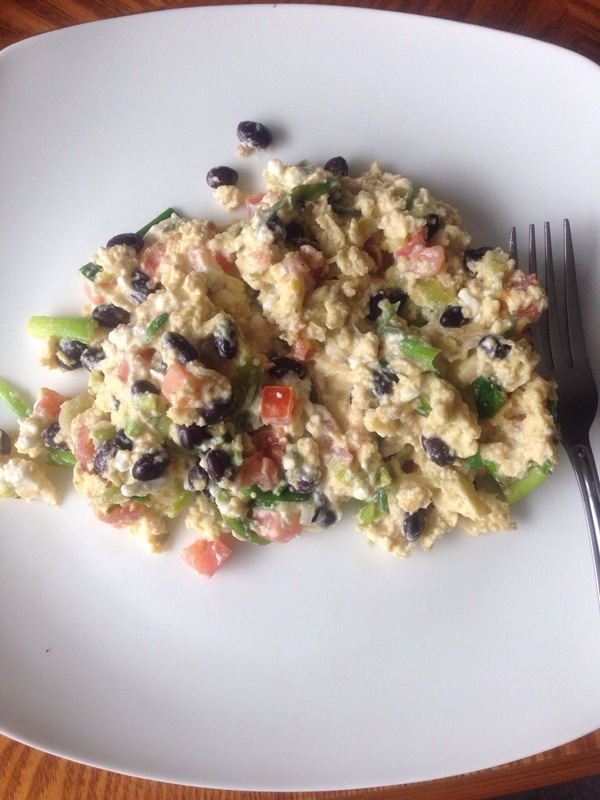 During the last two weeks, I believe I was missing iron in my diet as I would bruise easily. I had literally 50 bruises on my legs. Multi-grain toast is a perfect way to get some whole grains in your diet. 2. Coffee. Caffeine has some beneficial properties. You can find out what they are here and here. As for the risks listed there, I am eating loads of leafy greens, almond milk, and Greek yogurt so I am not too worried about osteoporosis, I do not suffer from diabetes and am watching my sugar intake anyways, I am drinking plenty of water during the rest of the day, and I only ever have one cup a day, usually with breakfast. So today was my first day on my own without any planned menu or shopping list. Using the previous clean eating challenge as a guide, I set forth to the farmer’s market near my husband’s work after I dropped him off this morning. I got strawberries (better than the last bunch), raspberries, radishes, snap peas, zucchini, egg plant, big beefsteak tomatoes, fresh oats, and a healthy, gluten and dairy free brownie for a snack! I even picked up a tin of locally made camomile and lavender loose leaf tea. If I weren’t on a budget, I would have bought a $9 raw chocolate bar (made with organic cacao, no soy, refined sugar, or any other junk and is fair trade! ), and some natural mineral makeup. There’s always next week. Breakfast at my husbands restaurant: two poached eggs, hash browns, fruit and multi grain toast. 1 1/2 cups of coffee, black. I had strawberry jam on my toast and ketchup (it’s a vegetable right?) on my hash. If you wanted to watch your sugar intake, you should leave out the ketchup and the jam. 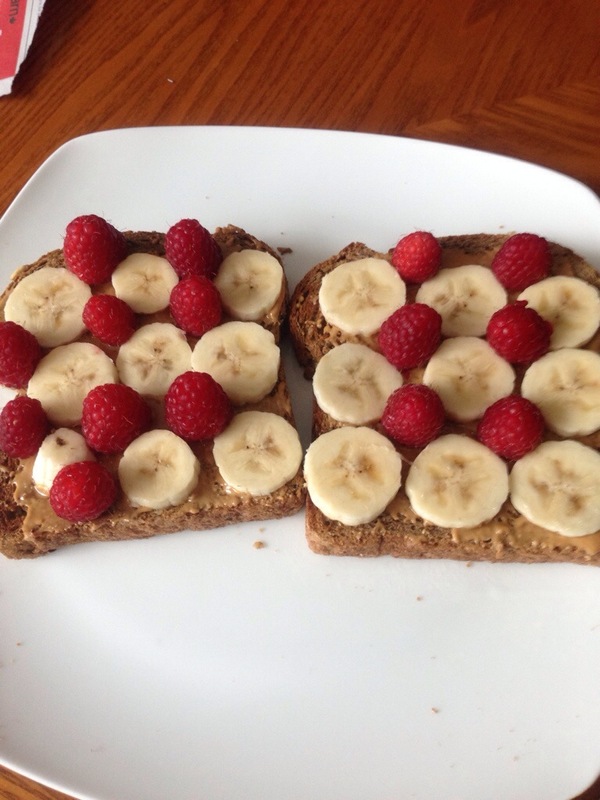 Lunch: two slices of multi-grain toast (from a well known island bakery: Portofino), one tablespoon per slice of natural peanut butter, half a banana sliced on top and dotted with fresh raspberries. My four o’clock snack was the brownie I picked up at the farmer’s market this morning. It had almond flour, coconut oil and dark chocolate chips. I’m not sure what else was in it but definitely no gluten and no dairy. It was so soft and moist, just melted in my mouth. I wish I could remember the vendor because these may be a weekly thing. For dinner I returned to the black bean vegetarian chili from the 14 day challenge. The recipe can be found here in case you weren’t following along. I added one pound of ground turkey breasts to give it more substance and chili powder, red pepper flakes and cumin to give it more of a chili flavor. Much better. Note: most chili powder you find in the stores contains salt, so leave out the kosher salt the recipe calls for. For my evening snack, I cut up one golden delicious apple and drizzled with one teaspoon of honey. Very light, but sweet. I couldn’t tell you how many calories I consumed, nor the amount of fat but, all in all, it was a successful clean day. Ok, so no cheeseburger last night but I did eat more than I should have of the dark chocolate. But in my defence, I didn’t buy an actual bar, but a chunk of bulk chocolate so there was no way to measure how much chocolate I really ate. I would say it was about 3oz. However much it was, I cleaned out my supply. I will inevitably have to return to be grocery store before the week is done. This morning we strayed away from the given menu and went out for breakfast. My husband had to drop into work, so me and the child went along for the ride. I guess now would be a good time to tell you that my husband owns a restaurant. Anyways, we grabbed some breakfast while we were there. Sometimes it’s nice to have someone else cook for a change. In keeping with the idea of clean eating, I ordered the veggie omelet, no cheese. I did cheat, though, and got the toast and hash browns. The toast was multigrain and the hash browns were roasted, not deep fried. We were supposed to head home so that I could eat the leftover chili I defrosted, but we got sidetracked again when my MIL wanted to go for lunch. So many temptations! I, again keeping within the guidelines as best as I could, ordered a Sante Fe salad. It had black beans, corn, romain, tomatoes, corn tortillas and guacamole. The dressing was some sort of vinegarette. Since we ate out two meals in a row, within two hours of each other, I skipped my afternoon snack. I decided since I didn’t have any more chocolate to make my after dinner hot chocolate, I would have the afternoon snack then. We went to the Wednesday evening farmer’s market tonight for the first time. I think I’ve found my new favorite market! There was so many fresh produce stands, organic this, clean eating that, and it’s all very inexpensive. You can even buy meat and eggs there and the assortment of baked goods and breads was phenomenal. It was very hard to pass up the fresh cinnamon buns. Unfortunately my husband has no patience for crowds and it was still scorching at 4:30pm so we left in a hurry and empty handed. Also, I didn’t know I needed anything. I will definitely be coming back next week. Dinner was good but the recipe was off a little. 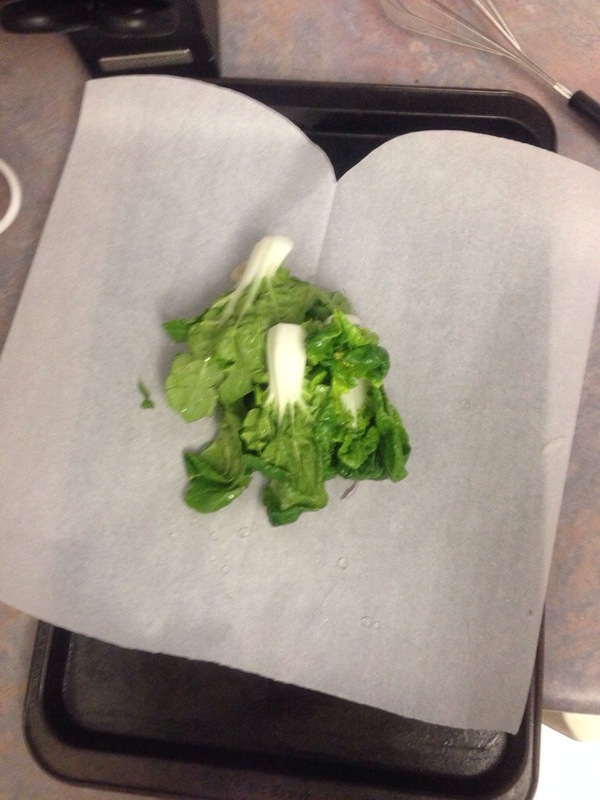 I only used 3 heads (instead of 6) of baby bok choy because they took up a lot of room on the parchment. The picture on BuzzFeed shows lemons in the packets but the recipe doesn’t call for lemons. I took a chance and added the lemons. The packets were a little liquidy, but very delicious. Another thing I noticed with editing errors in the menu plan: the prep recipe of the overnight oats for tomorrow called for 1/3 cup of almond milk and 2/3 cup of Greek yogurt. The recipe on day 13 calls for 1/2 cup each. I didn’t notice this until after I already made the oats so I may end up with cement tomorrow morning. Wish me luck! Side note: I don’t know if it’s because I had my husband around to share the work load, but I feel much better emotionally and physically today (with all the cheats) than I did yesterday. Hmmm. At least I’m learning about making healthier choices. I’m tired of eating salads. I’m tired of raw or next to raw greens. I’m tired of running to the grocery store because I neglected to grab something on my initial shop or not enough. I’m tired because I have a newborn baby who breast feeds. I’m tired of this clean eating challenge. Someone bring me a cheeseburger.